Our host was amazing! Very attentive and helpful. Breakfast was wonderful and our room was very clean and welcoming! A pleasure to stay here! Thank you! The hotel was very beautiful and just a 5 minute walk from Agia Anna, which has a gorgeous beach. The breakfast was good and it's served in your room so that's nice. The villa is spacious and clean. The owners are friendly and nice. The room was excellent and very tastefully decorated. Exactly as advertised in the pictures. Sheets and towels where changed daily and the overall cleanliness was amazing. The property is somewhat isolated therefore very quiet and relaxing. The hosts where phenomenal, always around to help, providing very good suggestions on where to go and and where to eat. 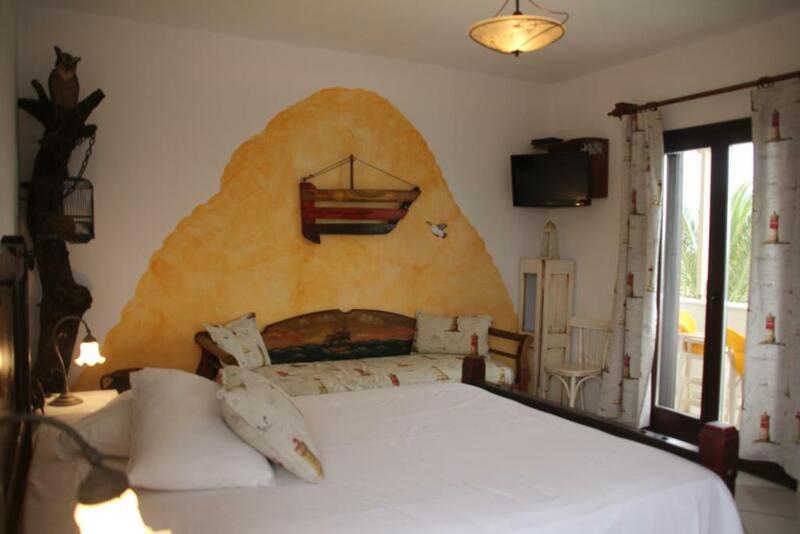 First of all we like the owners you are there like in a family.The rest:location,clean, excellent!Very close to the beach.Recommand!It s sure we will come again.Pitty that we can give only 10 not 12. Very nice host and very clean in the apartment, every day tidy! Breakfasts were varied and delicious. The location was superb, close to sea but in tranquil setting surrounded by nature. The room was decorated very artistically and the balcony had the most amazing views. 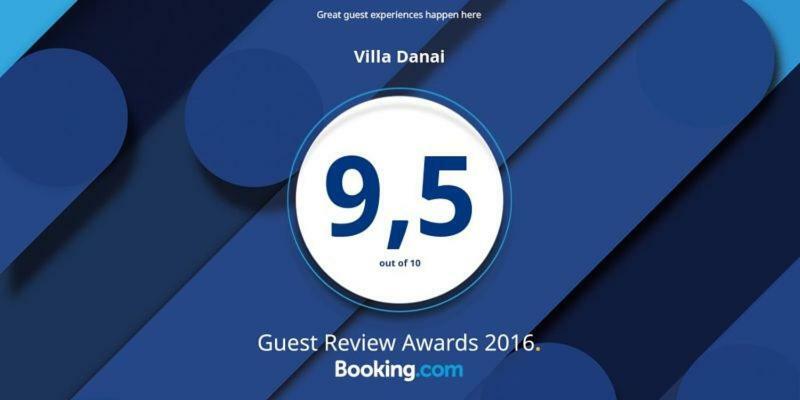 Lock in a great price for Villa Danai – rated 9 by recent guests! 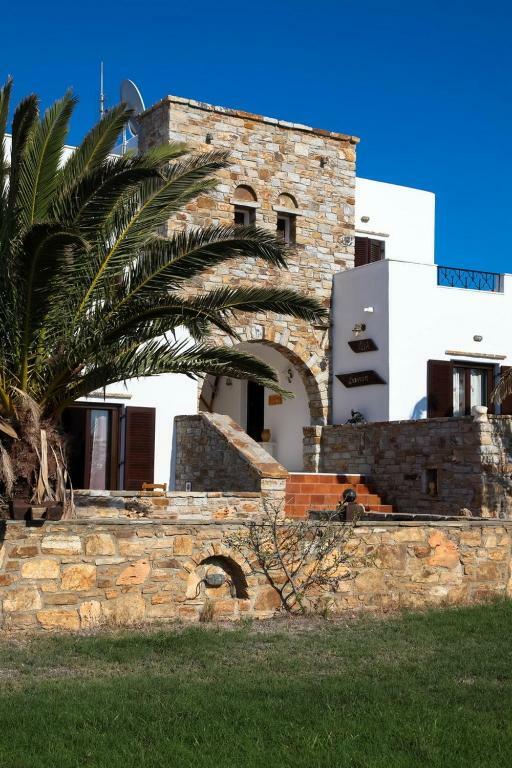 Surrounded by green grounds, Villa Danai enjoys a beautiful location in the sea-side village Agia Anna, Naxos, only 850 feet from the beach. All studios are of unique design, created by a local artist. 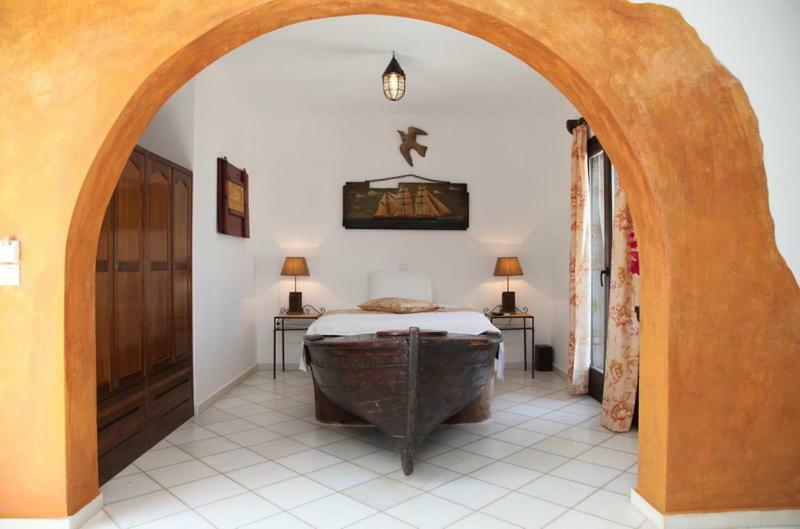 They feature objects such as boat-beds, wooden or built painted beds, paintings and objects made from old materials. 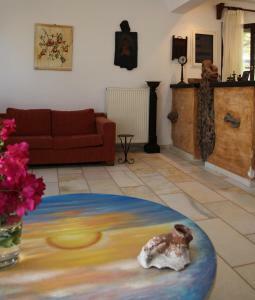 In Villa-Danai art and technology are combined, offering comfort and a unique atmosphere. All studios feature balconies with view of the sea and the grounds, where guests can relax, enjoy the sun, tan, or have breakfast, which can also be served in the rooms. 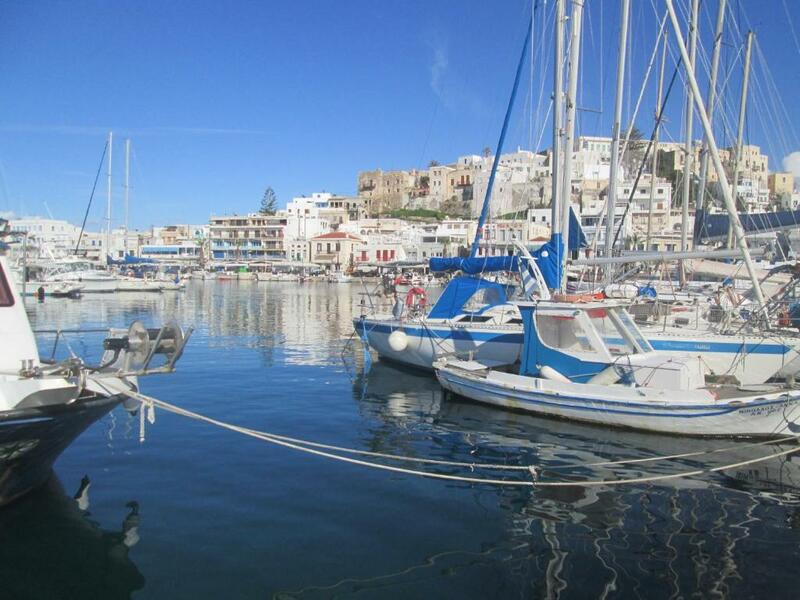 Agia Anna, one of the island’s most treasured beach, offers plenty restaurants, cafes and bars and is located only 4 miles from the town of Naxos and 2 miles from the airport. When would you like to stay at Villa Danai? Overlooking the Aegean Sea and the garden, this uniquely decorated, air-conditioned studio has a well-equipped kitchenette and a bathroom with shower. A coffee maker, a flat-screen TV and free WiFi are available. 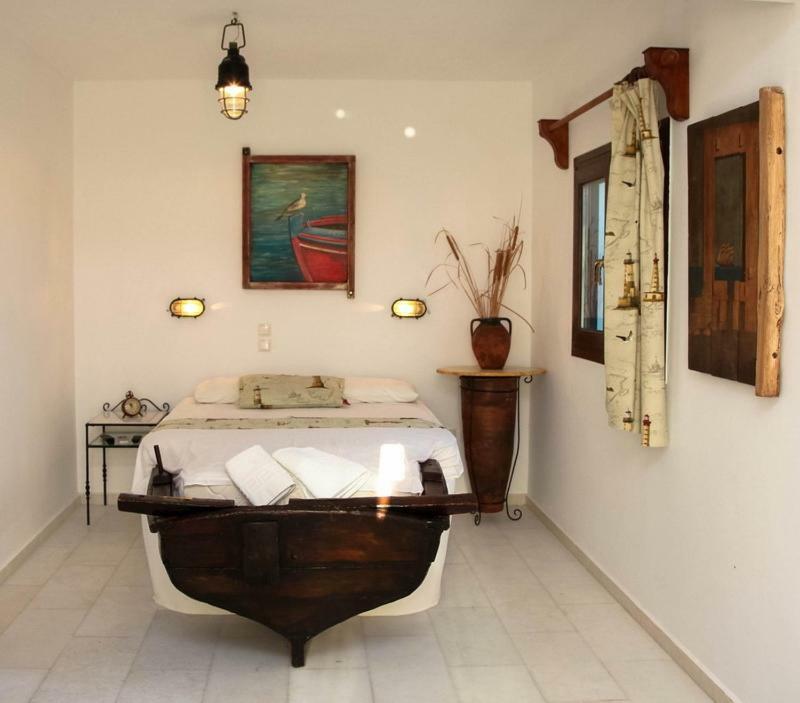 Fitted with built-in beds and handmade headboards, this air-conditioned studio has a well-equipped kitchenette and a bathroom with antique tiles. A coffee maker, a flat-screen TV and free WiFi are available. 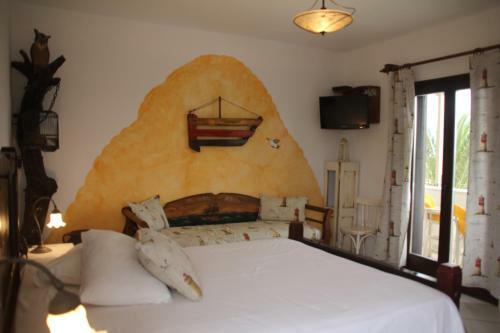 Featuring a boat-shaped bed, this studio offers panoramic sea views and is decorated with artifacts. It comes with a fully equipped kitchenette, renovated bathroom, air conditioning, satellite plasma TV and free WiFi. Offering a built-in bed, this studio is located on a semi-basement. 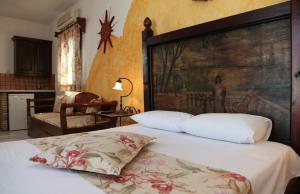 It is decorated with artifacts, it comes with a fully equipped kitchenette, air conditioning, plasma TV and free WiFi. Όλα ξεκίνησαν μετά τον γάμο...Η ανάγκη για ένα κατάλυμα ξεχωριστό...Παραλία της Αγίας Άννας.Αντικείμενα από παλιό υλικό,δημιουργίες του καλλιτέχνη Δημήτρη Κουτελιέρη. Κρεβάτια-βάρκες.Όλα τα studios διαφορετικά διακοσμημένα.Αγάπη για το νησί.Φροντίδα για την ξεκούραση των φιλοξενούμενων.Πρωινό στο δωμάτιο,ιδιαίτερο καλωσόρισμα για νιόπαντρους.Ιδανικό για οικογένειες,ήσυχο,καταπράσινο,άπλετοι περιβάλλοντοι χώροι,ιδιωτικό πάρκινγκ.Pets allowed! Η παραλία της Αγίας Άννας,πολύ κοντά στην Χώρα και στο λιμάνι(6,5 km)αλλά και στο αεροδρόμιο(3,5 km) είναι η ιδανική παραλία,ειδικά για οικογένειες με μικρά παιδιά!Πεντακάθαρη,με γαλάζιο σημαία,χρυσαφένια άμμο,απάνεμη στο βοριά,εύκολα προσβάσιμη και οργανωμένη..Διάσημα εστιατόρια,φημισμένα beach-bar και μπαράκια,mini-markets,press, ATM και φούρνους προσφέρουν τα πάντα στους καλοκαιρινούς επισκέπτες.Κάθε μισή ώρα σύνδεση με λεωφορείο για Χώρα και λιμάνι,μέχρι αργά τη νύχτα! House Rules Villa Danai takes special requests – add in the next step! Villa Danai accepts these cards and reserves the right to temporarily hold an amount prior to arrival. Please inform Villa Danai of your expected arrival time in advance. You can use the Special Requests box when booking, or contact the property directly using the contact details in your confirmation. The rooms were a bit small but very comfortable and clean. The location was perfect and the hosts friendly. The breakfast was very good. No problems, everything was as advertised. That property is a big disaster. The owners that running the business are not professionals. They did not give us the room that we paid but only after that we paid extra cash (black mail). I will send a more detailed letter to you. The breakfast was a comedy and the room was always dirty. The air condition was non functional and general all it was a disaster. The worst hotel that ever have been. The wifi was slow when wanting to look up tickets for the ferries and other attractions in Naxos. Nothing, even the weather was divine. The location was very nice and quiet, but still very close to restaurants, bars and the beach, withing walking distance. It's also close to Plaka beach. 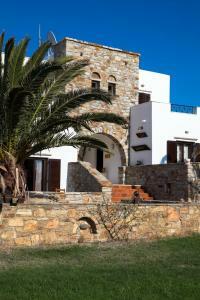 The hosts are tremendously nice and welcoming and even provides Greek sweets upon arrival. Would definitely stay there again! The breakfast could have some more options. The villa has the tie up with the taxi driver. The rates for the taxi is 15 euro one way however the taxi driver booked by the villa charged 25 euros. The rate discussed with the villa was 15 euros. Great location with 5 mins walk to village and beaches. the rooms are comfortable and very tastefully decorated, always clean and lovely balconies. Breakfast is brought up on a tray to the room. Our hosts were great and provided 3 great restaurant recommendations all of which provided to be excellent. Agia Anna is a great spot and this is good, quiet location to enjoy it from. Thank you Danai. Breakfast was brought to our room every morning as opposed to being served in a seperate place so , everybody was woken up at the same time. The quality of the breakfast for the price is disappointing. Danai and her family were very welcoming and were helpful with information about the island.The tranquility of the location and the closeness to the beach and restaurants.